Excellent guide.. Very informative.. :) I enjoyed reading it.. These things also might need to be tested sometimes, i think so. The information which i got its good but these in formation understandable by only experienced candidates but people are intrested on how the error will accrue and how it looks. I am expecting from you that with real time examples or block diagrams for each and every testing. Thank you for your simple and superb article. VERY NICE ARTICLE. CAN ANYBODY PLEASE SEND ME THE NOTES OF MANUAL TESTING OR VIDEO. In the case of functional testing of banking application, how the outgoing link(fund transfer to another bank) is tested in testing environment? Is there any free tool for identify the Font type,size of a whole web site. Please let me know .Its urgent.. This is a great timeless article, apart from just using this guide for testing web app, one could also use it to test mobile application. Bookmarked for future reference. This site is superb,as it clears all your doubts regarding many aspects.Thanks for this. Can anyone(Sunitha,Mayasen,Vijay) share doc about how to initiate web testing(any job portal site),checklists involved etc,as i was more involved in product base testing,so this is altogether different approach. Incroyable, le site c’est trop utilisant. 2)registration -(username /pass/contact no/image uplode /email etc. Can you please explain hot to find Bugs in a Videos performing website? Hai this is ramesh please post your answers for below questions which i have faced in final round interview? 1) Pls explain about frame work briefly? 2) a web table contains 4 rows and 3 columns,in 4th row 3rd column i have sub cells,how can i retrieve the sub cell values? Hi everyone, i need help for one thing. I have one project to test one E-commerce website. so how can i test this project. How can i initiate to test this. Need Checklist for it. such a great info for complete website testing. got a query while reading the article,regarding “Validate your HTML/CSS”..Please elaborate this with an example. hi, I want to write a manual test case to download the excel sheet from a portal and compare it with the one I have… please let me know the steps to do the same…. Localization testing is also most important type in web testing. @ Vijay: A very nice article. And we are always looking for such kind from you. Hats off for knowledge sharing. We will definitely help this. Continue with your Good work along with Good Health. hey vijay,awesome artical i want exactly same kind of information.very usefull information.i want information about how to do performance testing of images included in our web application.please help me guys if anyone know the solution for this. I do really appreciate your article, this is really the brief information that covers all of the aspect of Manual Software Testing. I used it to test our Medical Practice Application. Thanks. 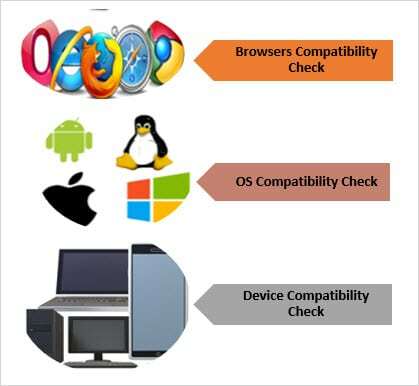 All the above information is very helpful.I am new to testing field so if any one can please email me standard test case or checklist for web or Client server application. can u pls give the live example for web testing!!!!!!! Thank you very much. This helped me create test cases for my project. great article on web application testing. Thanks for the great information. Perfect for junior’s. Very structured guidelines. plz write article for cookie testing ,we all waiting for this . How to test ecommerce Website with Multiple users on a Single Machine. what is W3 Consortium ? You can opt for crowdsourcing testing which is basically testing of apps and its compatibility on various devices by testers. Mobile app testing helps the developers analyse bugs, predict the acceptance of app in the market etc. for mobile app testing I suggest Qualitrix which allows you to select your crowd among the community of testers and tests the app in a real world environment, among other sources such as http://Utest.com and http://Passbrains.com which are also a very good source of QA testing. very useful and imp information provided through ur article. The article was very useful. I am new to testing, so which programming languages should i know before going to my job. the articles are very useful.but i want to know how to write test cases and test scenarios for real time application(its very urgent).